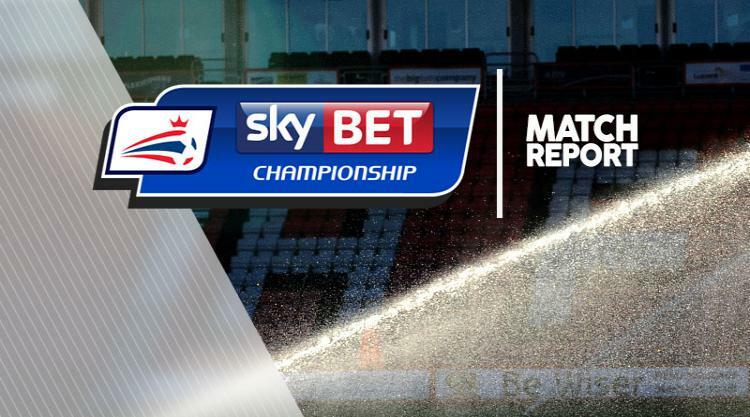 Gary Madine scored twice and Mark Little added a third as Bolton beat Barnsley 3-1 to move out of the bottom three in the Sky Bet Championship. Little's superb solo strike after 69 minutes secured victory for Phil Parkinson's side after Madine's first-half brace. Tom Bradshaw's penalty had briefly restored parity for the visitors. In contrast, Barnsley have now lost four successive games and have dropped to 19th. They cancelled out Madine's first goal through Bradshaw's penalty but then found Bolton goalkeeper Ben Alnwick in outstanding form after Madine notched a spot-kick of his own six minutes from half-time. Wanderers had first sight of Barnsley's goal when Josh Vela's effort from 20 yards deflected into the gloves of Adam Davies. The home side should then have been in front after 17 minutes, with Vela this time the provider. The midfielder's cross from the Wanderers' left was delivered to perfection but Madine's header from eight yards flew harmlessly over the crossbar. Four minutes later Bolton did take the lead and it owed everything to full-back Little's persistence and skill after bursting into the penalty box. Little's cross was delivered to the near post, where Madine bundled the ball into the net for his fifth goal of the season. Almost immediately, though, the Tykes were back on level terms. As Bradshaw burst into the area, Reece Burke stretched out a leg but took the man rather than the ball. Bradshaw picked himself up and fired home the spot-kick right-footed beyond Alnwick. Bradshaw and Bolton's Sammy Ameobi were yellow-carded - the latter for a daft push on Joe Williams - before the Trotters regained the lead. This time Liam Lindsay was adjudged to have tripped Will Buckley and Madine rolled home a right-footed penalty to make it 2-1. Barnsley could have levelled again in the last of three minutes of stoppage time at the end of the opening period. Adam Hammill, back in the side after suspension, crossed from the right and Bradshaw headed over the bar from close range. Barnsley also started the second half on the front foot and were unfortunate not to level again. An error by Mark Beevers gifted an opening for goalscorer Bradshaw. Alnwick saved the striker's low right-footed shot and then clawed away a second effort. Alnwick then denied full-back Jason McCarthy as the visitors sensed an equaliser. The hosts posed little attacking threat after the interval before doubling their advantage. Little left Andy Yiadom floundering as he burst into the area. Despite team-mates to his left, Little went for glory and fired an angled low right-footed effort into the bottom corner. Substitute Adam Armstrong almost added a fourth with a fierce shot of his own. Barnsley kept pressing, but Alnwick stood in their way, blocking a goal-bound effort from Bradshaw during seven minutes of stoppage time.